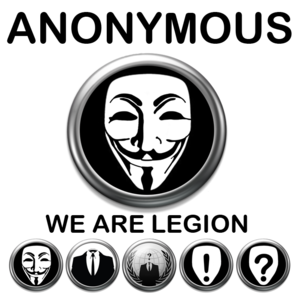 "WE ARE ANONYMOUS, WE ARE LEGION, WE DO NOT FORGIVE, WE DO NOT FORGET, EXPECT US." Anonymous Icon Pack Designed by N37, with animations for connection and received msg. In three variants. See more illustrations of the IconSet here.